Barbara J. Colasanti passed away Monday, September 1, 2014 in Kalamazoo. She was born January 8, 1925 in Dowagiac, the daughter of Clyde and Emma (Guntle) Huff. For 23 years Barbara was a registered nurse at Bronson Hospital. On November 21, 1946 in Kalamazoo she married Michael Colasanti who preceded her in death in 2010. 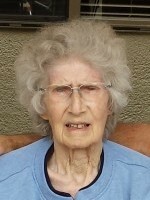 Barbara was a lifelong caregiver, she loved to play cards, sew and quilt. She enjoyed taking care of her home, her family and loved spending time with her grandchildren. Surviving are her children, Don (Deborah) Colasanti of Texas, Michael Colasanti Jr. of Kalamazoo, Ricky Colasanti and Lori (Domingo) Sauceda both of Cooper; 10 grandchildren, Arianna, Sarah, Michael III, John, Danatio, Caitlyn, Ashlynn, Danielle, Courtney and Jake; 2 great-grandchildren, Andrew and Alexis; and many extended family members. She was preceded in death by her husband, her parents, 3 sisters and a brother. A memorial service will be held Friday, September 5, 2014, at 11:00 A.M. at Westwood Church of God in Kalamazoo with Pastor Tom Tufts officiating. Burial will take place at West Cooper Cemetery. Contributions in memory of Barbara may be made to the Alzheimer’s Association.